CMS Commander review, giveaway and discount coupon code! Internet marketers usually have more than one website running, they actually tend to start out with several, and maintaining a bunch of sites can easily turn into a real time stealing complicated work. If you want to manage them all, you already know you have to log in and out from far too many sites, and clicking all the update, theme, widget and whatnot buttons on each one of them can take away your day and patience. This way, you can easily forget about a site or forget about an update, and you got yourself a problem. 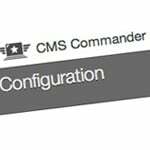 CMS Commander is a WordPress management plugin that helps you connect all of your websites into one. This plugin will allow you to update, post, manage plugins, gadgets, themes, and many more options, from any of your sites via just one dashboard. All you need to do is install CMS Commander on each one of your websites and the fun begins. 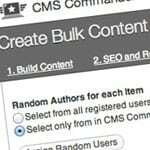 If you want to save yourself a lot of time and effort, I suggest you continue reading this CMS Commander review so you can see all the great things this plugin can do for you, not to mention how much it can help you when it comes to multiple website management. There is a good reason we are giving away 2 yearly memberships and a lifetime CMS Commander coupon code, we only choose the best for our readers. Now let me first introduce you to this awesome plugin. Let’s be honest, having a central dashboard from which you can manage all of your websites is seriously nothing less of a dream come true for any of us. ManageWP does a great job at managing WP, but what if some of your websites aren’t made at WordPress? A problem occurs. In most cases, you will need to keep some kind of a spreadsheet that contains all the information. If you are the one maintaining the websites, you will, of course need to keep all those logins safe and nearby, and if you want to backup, you will need to do it for each site individually, not to mention upgrading ALL the plugins on each one of them , comment moderation, posting, etc… This is where CMS Commander jumps in to rescue and saves the day by giving you the opportunity to do it ALL from just one single dashboard. After installing it and logging in you will probably be like: “Wow, that’s a whole lot of options!” Don’t let this spook you, read what you got there and let the text take you to step-by-step instructions on how to manage this powerful plugin. CMS Commander can handle multiple CMS’, so it doesn’t matter if you run your websites on WordPress, Drupal, phpBB or Joomla, you will still be able to manage them all through just one dashboard! This great plugin also has services that will allow you to add autoposts from over 30 different sources, including Amazon, Youtube, or any custom CSS feeds. A feature called “sources and options” makes it easy for you to choose which source you want to use, and you also have individual settings for each one of them. The Post Editor allows you to add new posts to one or multiple sites within few seconds. You simply write it as a normal post and select the sites where you wanted it posted. Almost all the important stuff is in this option, including scheduling, categories, etc. Another feature I find amazing is the Bulk Content, where you will find the sources you chose previously. It is very easy to choose a source, chose your keywords and generate the content, then post it to multiple websites. If you are using a lot of content from other sources, this will be a great feature for you. In case you need to find some content on one of your websites, like an article or a review, or any random post you want to use, you can find them in the Content area. You can generate a list from your websites, no matter if you want to generate it from all of them or from individual ones, and you can edit or delete the content by one single button click. Using the Users section is very similar to the Content one. You will be able to edit or delete any users in this area. You can easily create bulk users, and if you are working with autoblogging, this can be a life saver. The Configuration area is ridiculously easy to use. You can work on your individual or bulk site settings very easily and quickly. In case you are into various in depth changes and setting, there is an advanced option for that too, but this isn’t recommended unless you are an advanced CMS user. The Categories can all be updated, you can add new ones, or you can edit, delete or do whatever you want with the old ones, no matter if they are on one of your websites or on multiple ones. If you want to play around with plugins and themes, this is where the fun really begins! With CMS Commander, activating plugins, themes or any tools you can think of, is really, and I mean REALLY easy! When it comes to backups, we all know how important they are. Now, CMS Commander makes this job easy too. You will be able to choose a full backup, or just database, you can schedule the backups daily, weekly and monthly. I loved the fact there is a feature where you can choose where you want to send the backups, including the standard server, email or cloud services such as Dropbox. Cloning sites is also very, very easy with this plugin. All you need to do is select the site, then click the backup button next to the site’s name and then just select another blank WordPress site with CMS Commander installed on it, click the clone button and voila! Your cloning is done! Checkout the short introduction video below to watch all the features and advantages of CMS Commander. CMS Commander has 8 different pricing plans, and although they are very affordable and worth the money, don’t forget we offer a great CMS Commander discount of 20% so our readers can rest assure they will get the best deal possible! For all of you out there who run multiple sites, I’m sure that, if you want to manage WordPress in the best way possible, after reading this CMS Commander review, you know what’s best for you! Add this amazing CMS Commander lifetime (!) 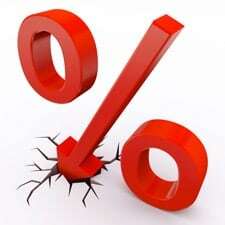 discount of 20% we have to offer to our beloved readers, and I’m sure there is already a giggly smile on your face. Keep that smile right where it belongs, get your CMS Commander coupon code and make your life a whole lot easier by just installing this simple, yet amazing plugin! CMS Commander is a powerful WordPress plugin. Having a tool that is going to simplify your WordPress managing, especially if you are running multiple websites can really ease your job a lot. 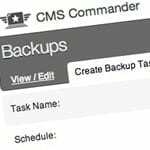 Maintaining ALL of your websites from just one platform and doing all the updates, settings, posts, managing all of your comments, users, backups and upgrades without having to log in and out of all of these sites is what CMS Commander allows you to do. Such a useful plugin should not be taken for granted, and having it handy should be a priority on any webmasters lists. Using the free trial account you are able to test all the features of CMS Commander for 30 days without any limits. You only have to choose a username and you are good to go – there is no risk and no need to enter any payment details. Click the button below to join now! JOIN CMS COMMANDER NOW, FOR FREE! Wait, that’s not all! WPdiscounts has another surprise to blow you away with, and I’m sure you will love this one! We’re hosting a new giveaway of a one year membership to CMS Commander (thank you guys!) 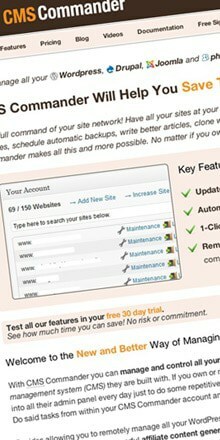 to manage 100 websites (normal price $399!) to 2 of our readers! Only 2 of you, yes, so be quick and act fast! This giveaway is hosted on PunchTab, just sign up with your email address or Facebook Connect and join the giveaway. Earn entries for tweeting, sharing and liking, or by leaving a comment – just follow the steps to earn more entry points! And you should spread the love too: receive 5 entries for every person who enters with the custom link you’ve shared. It’s that easy! This giveaway ends the 13th of May and the winner will be announced on the 14th of May. Good Luck! Help us by tweeting and sharing this giveaway, so that more people will know and have a chance to win one of these great CMS Commander memberships! the giveaway has ended, thank you all for joining, very appreciated! congrats, and if you didn’t win, you can still use our exclusive CMS Commander coupon code to buy this plugin with discount!